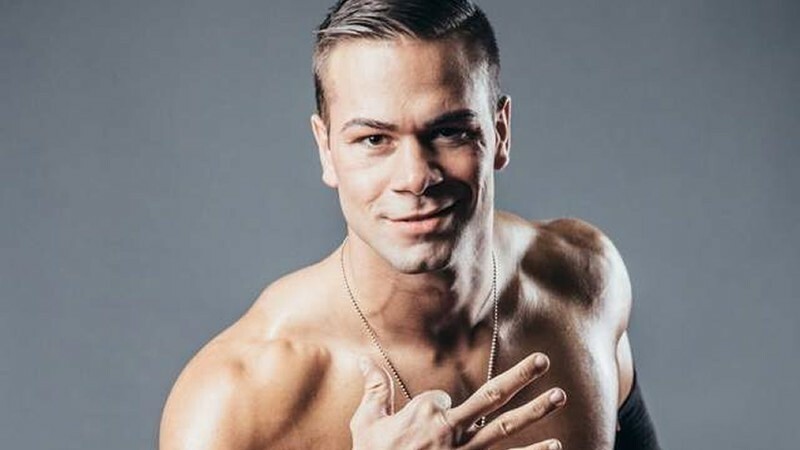 Ring of Honor’s Flip Gordon discusses success, wrestling on the independent scene and who he’d match up best with in the promotion. Flip Gordon may just be the most exciting wrestler on the independent scene today. If you disagree with that statement, just look at the opportunities that have been presented to him, not to mention his desire to improve both inside and out of the ring. Over the past year, Gordon has earned notoriety while competing in Ring of Honor and Chaotic Wrestling. One of the most notable in ring qualities that Gordon possess is his versatility, and his ability to move around with the greatest of ease. He is blessed with a wide range of acrobatic skills stemming from a background in gymnastics. He possesses a variety of interesting and exciting moves and the ability to perform high flying maneuvers with the greatest of ease. His future is bright as he has engaged in a number of exchanges with the Bullet Club in ROH recently. In this interview, he enlightened me about a number of his past experiences, where he has been and where he ultimately hopes to be. He also discusses how his ability to adapt to his environment, regardless of where he is in the world, is crucial for success. As a world traveled competitor, he learns from those experiences and applies them to his craft. He also has a military background and uses the skills and qualities from that experience to become a disciplined performer in the ring. Before getting involved in pro wrestling talent, are often inspired by others that came before them. Who would you say are your influences and what was it about them that influenced you either stylistically, or just enticed you to pursue this as a profession? The main two guys were Eddie Guerrero and John Cena. Those are the two guys that really drew me in. They made me fall in love with professional wrestling. But I also loved high fliers like Rey Mysterio, Super Crazy, Paul London. I was always attracted to the high-flying the most. That was the style I wanted to do. In regard to John Cena, I think it was just the relatability, and he came in at the right time and he was one of the best in the ring? He was so entertaining that you just wanted to watch. Describe your early training under Brian Fury and how his early fundamentals remained with you. Your first match was against Biff Busick, who now competes as Oney Lorcan in NXT. Describe any thoughts feelings or anything notable that you can recall from the match and what gained from the experience. That is correct, on May 6th, 2015. He was one of the best on the indies that I wrestled against. It was only a couple of months before he was picked up. It was crazy, and I think about this match like it was yesterday. I can’t remember everything that happened in the match, but I do remember I learned so much from that one match with him because of how much of a professional he was. I had no business being in the ring with him. He definitely took care of me and taught me so much that I still remember to this day. There are little things from that match that I still learn from because of him. It was really cool. He taught me things from a selling point and listening to the crowd. For example, I slipped on something, and he was able to catch it and fix it, he knew what was going on and stopped me from panicking, with me being the new or ‘green’ guy. Afterward, he was so nice, and even though something got messed up it didn’t matter, he was so patient with me. He took his time explaining to me what happened and what needs to happen next time. He was always the constant professional, and that was one of the coolest things about working with him. Cody Rhodes puts the championship around Gordon’s waist. Chaotic Wrestling and ROH appear to be two promotions very near and dear to you. What is it about these two promotions that stand out the most, and why do you remain as loyal as you are to them? I always did research and wanted to look into which promotions were doing the best, which companies were the hottest right now, and which have the most buzz because those are the companies that I work for. Don’t get me wrong, I want to work everywhere and anywhere, but I also want to work in places that are going to help create buzz for me. If a company is hot and there is a lot of buzz about them, then why wouldn’t I want to work with them? I want to be a part of them and create my own buzz as well. I want to get my name out there, I have to get the Flip Gordon name out there and build my brand, just like they are trying to build their brand. With Chaotic Wrestling, it has a long history and tradition going back to Kofi Kingston, and Damien Sandow, and Sasha Banks. It has a long lineage of people that have gone to WWE. It’s tied to Brian Fury’s school, which used to be called the Chaotic Training Centre (CTC). Before that, it was the Killer Kowalski Wrestling Academy. It has a long lineage and tradition, and I think that’s what is so cool about Chaotic Wrestling, the guys that come up within the system, in the pool. That is where you get your start. This is where you learn the ropes that is what I would say. Competing all over North America is significant for you, as evidenced by your time in CMLL. What has the biggest difference been for you competing in the U.S and Canada and Mexico? That is also correct. It’s really weird because every country is different. I have been to six countries this year, already, and each country’s crowd is very different. It teaches you how to adjust and how to work on the fly, to get the crowd to interact. Each crowd is going to be different and each crowd wants to see something different, we just have to figure out what it is. That is one of the coolest things about wrestling, whether it’s from one state over or from one country to another. That’s what grows you as a performer, being able to perform in front of these different crowds. I love Mexico so much. I love the tradition down there. My first few times down there were so good, and so was the reaction and the response I received. And then going down there for CMLL and being down there for the whole earthquake, I feel like I have such a respect and love because I was there and helped. I’ll consider Mexico like a third home, I love it down there. The crowds are different, it’s just so special. With the tradition and how everything is so big down there, and them loving Lucha Libre, it is something special. Wrestlers still travel under masks there 100%. As soon as we pulled into town, masks are on, and if not there is something covering their face in order to walk from the bus to the venue and from the venue to the bus. They are very protective of their identities when we are at shows and when we are leaving shows. Independent wrestling has come under criticism for having ‘too many spots and not enough storytelling’. What are your thoughts on the topic? My take on it is, you have to do a lot to get your name out there and get noticed. That is how you are getting booked more. If people don’t know who you are, they aren’t going to book you. You have to do something to get your name out there, and once you get your name out there then you start learning how to work. You start working with better guys, and that is when you are going to start learning how to work. Obviously, you are not going to know everything about how to work when you start wrestling. Talent just has to get the buzz around them, and that is what a lot of guys do, get their name out there and do crazy sh**, boom, boom, boom. A quick highlight reel so they can share it. That’s what I do. For the first six months to a year, I did the craziest things I could think of to get me a lot of buzz. I put it in a highlight video to help build a lot of attention, and that helped me a lot when it came to bookings, and I started traveling. I just think because the business has changed so much because the wrestling has changed and is much more fast-paced now. Whatever this ‘indy style’ is, as it is being called, you have to go out and show fans ‘Look what I can do,’ and as soon as they can see you for what you are doing, then that is when you start adding your character in there and start connecting with them, and show them who you are. If they don’t care about you, then they aren’t going to be interested in getting to know you, so you have to go out there and have them say ‘Oh that guy was really good’ or ‘Oh that was awesome’. Flip Gordon is rarely seen not in flight during his matches. To what do you attribute this particular style of wrestling? Was it an evolution of styles or something you always intended on doing? I always wanted to be a full well-rounded wrestler. I have an amateur background from wrestling in high school. I did MMA and gymnastics, and I did Brazilian jiu-jitsu, so I never wanted to be just a high flier. I always wanted to be more, I wanted to be the whole package. I wanted to be that main event type of wrestler that can do anything and everything. Ring of Honor presents some of the biggest challenges for you. Who do you feel would be a challenge because your styles are much different from one another? I think Shane Taylor and I would have a good match. I think it would be different, and I think it would be more difficult, but I think it would be a good match. It would be a different kind of story that we would be telling in the ring. I am not going to be able to do all my moves on him. I would have to think differently. It just wouldn’t be your typical Flip Gordon match. I think that it would be a cool story to tell because it would be different. I also think it would give me an opportunity to show people that I am not just a high flier that I am well-rounded in the ring. Being a member of the National Guard could be compared to being a pro wrestler as the sacrifices involved in both are evident. What other similarities can you attribute to doing both? They are both very disciplined in their respective jobs, we need to have the discipline to do it. It isn’t just going to happen overnight. We have to be patient, and you are constantly working to get better and improve your craft. It didn’t happen overnight. It took me two years of working 80+ hours a week in order to get to where I am. So it isn’t going to be easy, but it’s definitely going to be possible. If there was one person past or present you’d love to face, who would it be and why? Eddie Guerrero. Hands down, no questions asked. In my opinion, he was the best performer to ever step inside a squared circle. He got better as he got older, 100%. I think he would have continued to get better as he got older as well. His ability to create emotions in the fans during his matches was incredible. As 2017 draws to a close, what aspirations does Flip Gordon has for 2018 and beyond? A big goal of mine for 2018 is I would love to go to NJPW. That is where you go to solidify yourself as a top guy in the indies, or a top guy in professional wrestling outside of WWE. So that is where I would love to go next. I would love to just keep traveling around the world and learning from as many people as I can. I love this business, and just want to help give back and make it as cool as I possibly can. It’s as cool as it has been in a long time, but I think I can make it even cooler. I am very honored and proud to be a part of this generation of wrestling. If fans wanted to connect with you how could they do so and where can they expect to see you in the new year? Previous articleRing of Honor top prospect finalist John Skyler talks finals, & the future.